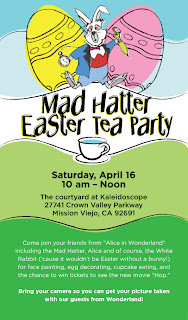 If you're in South County this coming Saturday April 16th and have an Alice in Wonderland fan, be sure to stop by the Kaleidoscope in Mission Viejo. 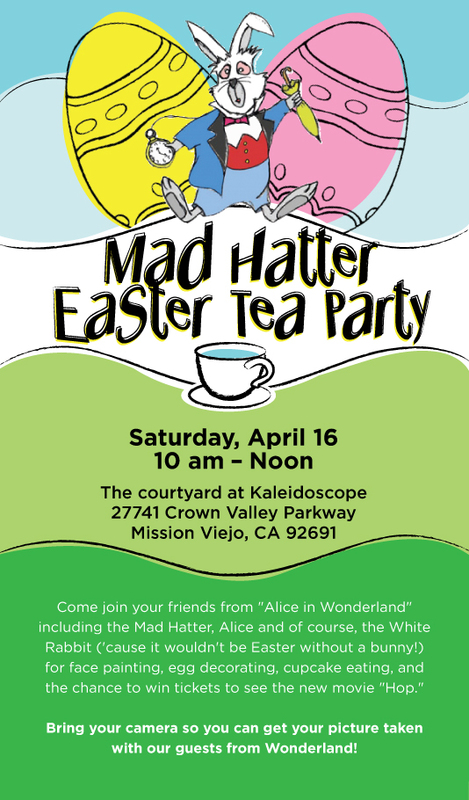 Between the hours of 10 am and Noon there will be several characters from Alice in Wonderland for the Mad Hatter Easter Tea Party. There will be face painting, egg decorating and cupcakes. There will also be the chance to win tickets to see the new movie Hop (in movie theaters now).